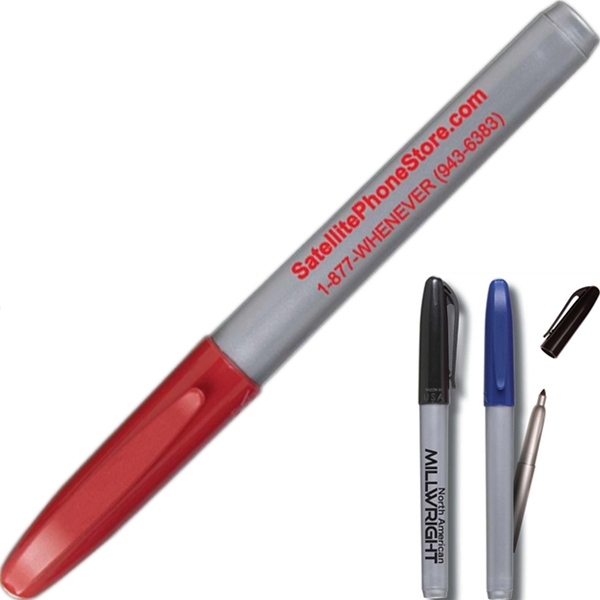 White barrel felt tip marker with matching cap and marker ink refill color. Your ad message will go a long way with this wonderful giveaway, it is perfect for promoting your brand at any office or event- simply have your logo or message imprinted today! Made in America. 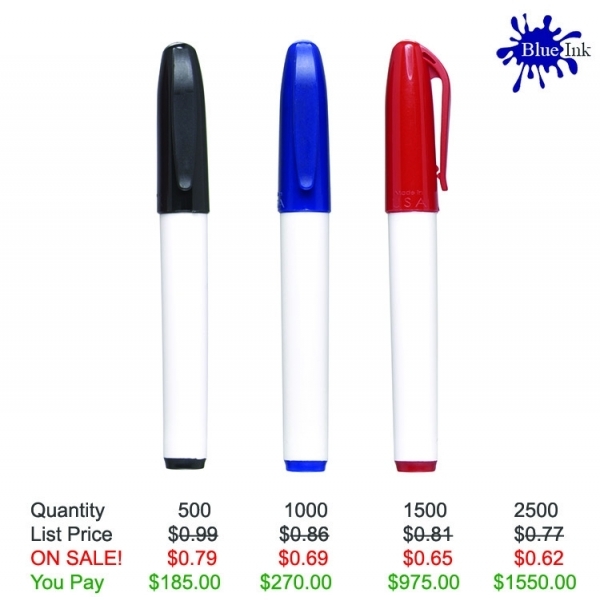 Color Ink/Point: Black, Blue, Red - Medium point. Marker ink color matches the cap. Rush Service: NO RUSH AVAILABLE. Production Time: 8 business days after art approval. Shipping Weight: 18 lbs. per 500 - FREE Shipping!